Villa Acqua Casa de Campo Dominican Republic. 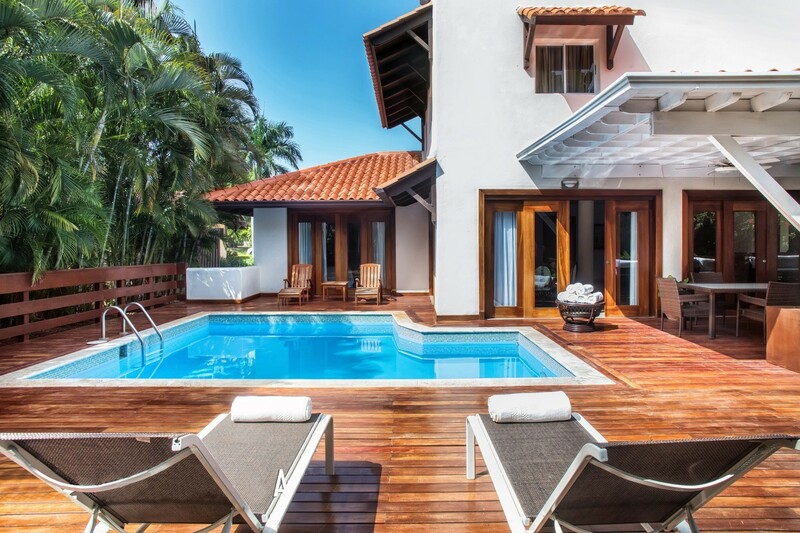 Set within the prestigious and exclusive Casa de Campo resort in the Dominican Republic, the charming Villa Acqua DR provides visitors with a private paradise along with full access to the resort's stunning amenities. 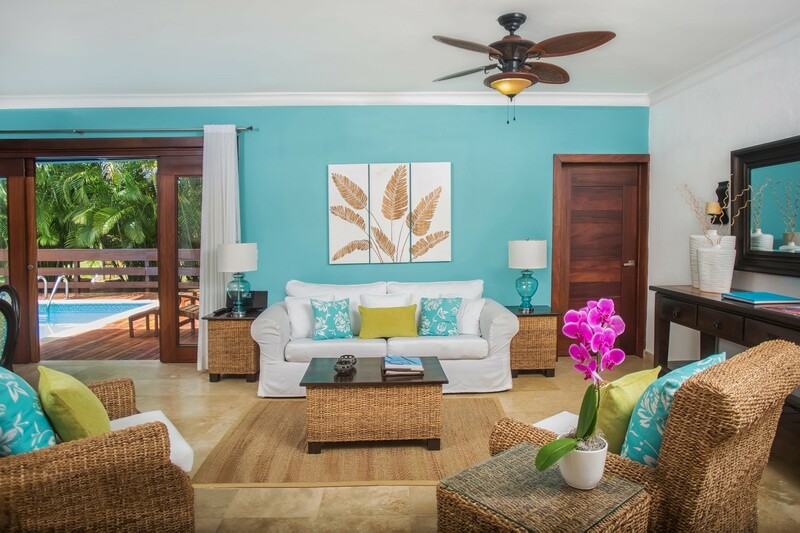 However, the living spaces in this three-bedroom villa are so appealing it may be tough to leave. 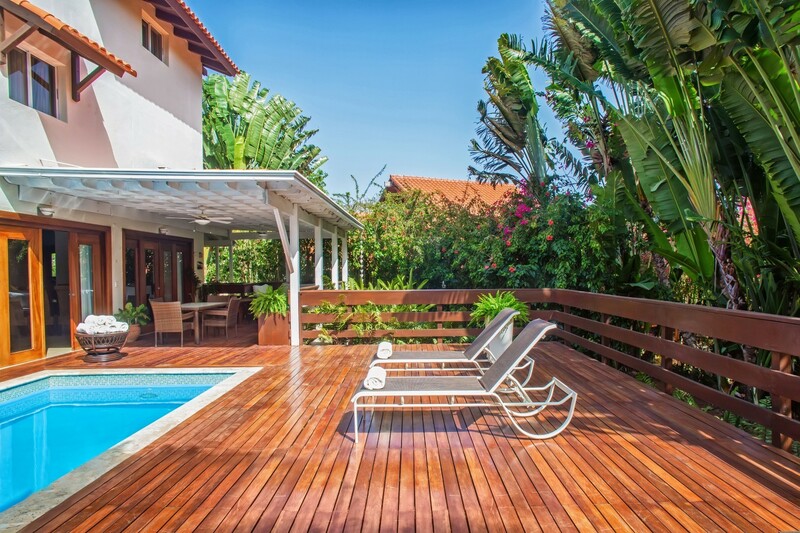 The heart of the villa is its lovely pool patio, with its warm wooden deck and scattering of appealing lounging and dining spots. 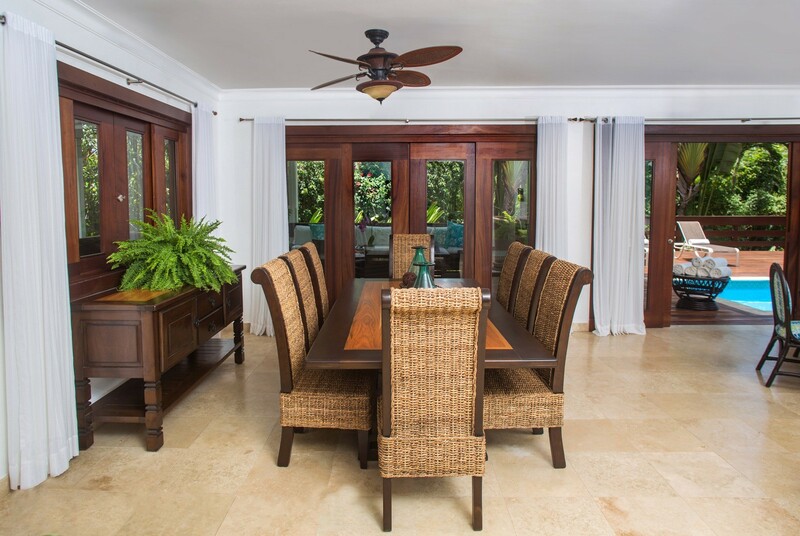 Relax by the pool in a sun chair, step beneath the lanai to enjoy the shade at your al fresco dining spot, and all within the screened privacy of your garden full of swaying palms and colorful tropical plants. 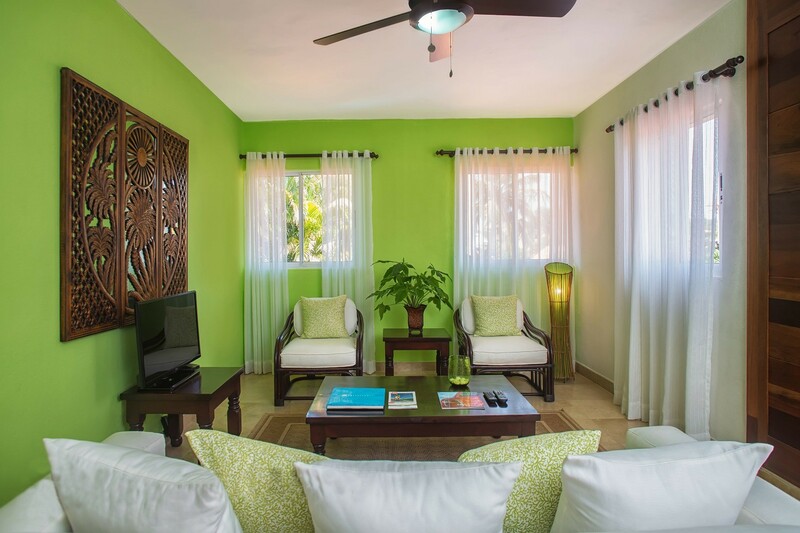 Inside, the villa is a burst of saturated color and excellent décor. The media room features comfortable furnishings and an entertainment center, the living room opens to the patio as well as the formal dining areas. Using a great room floor plan, this opens into the kitchen, allowing you to enjoy every moment, even when whipping up a snack in the fully-equipped space. The three bedrooms are divided between the first and second floors. 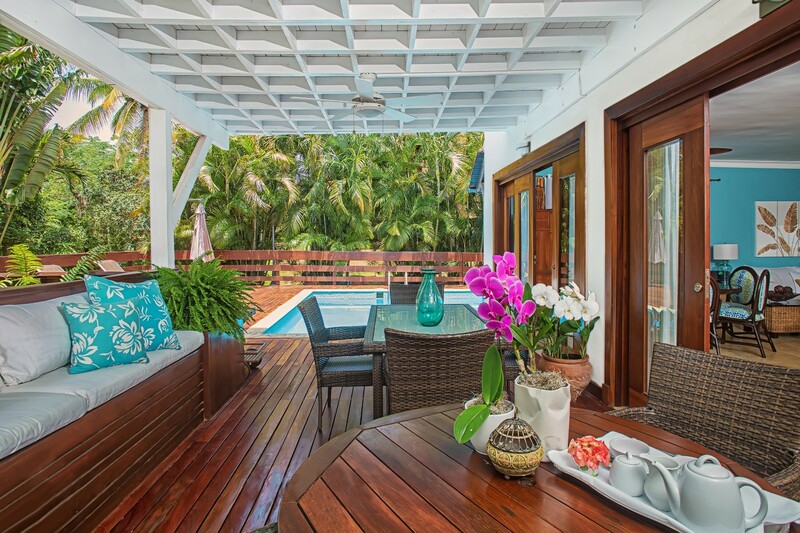 The master is on the first and features terrace access, a king bed and luxurious ensuite bath. Another master suite is upstairs with a private porch, king bed and ensuite bath. The third bedroom offers two double beds and is ensuite. 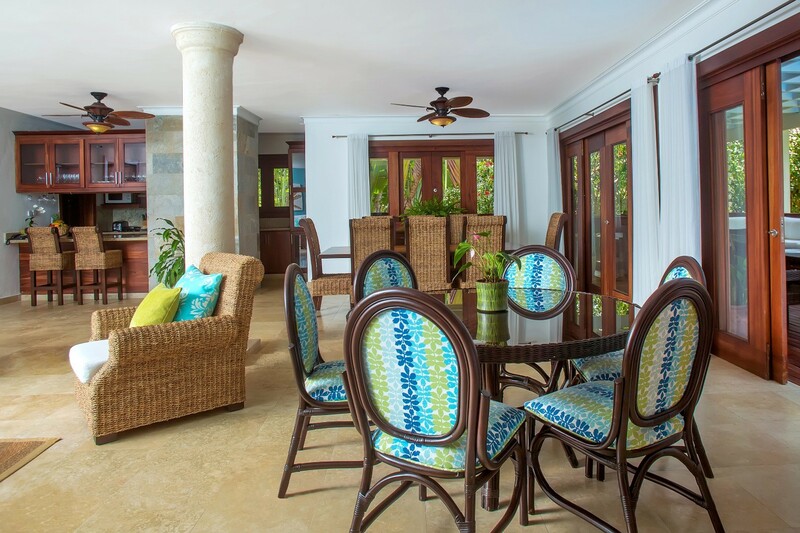 Guests enjoy daily breakfast service in their villa, a concierge and butler, and all of the resort facilities. 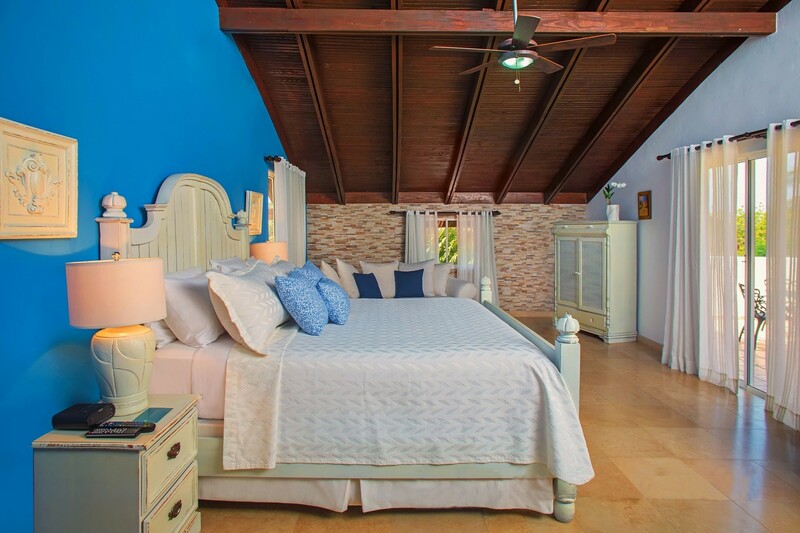 This makes Villa Acqua DR a perfect getaway for families or a group of discerning travelers. Known as the most exclusive resort in the Caribbean, Casa de Campo Hotel and Villas sits on more than 7,000 stunning acres along the southeast coast of the Dominican Republic. It is an amenities-rich paradise offering everything from a marina and tennis to a polo facility, three world-class golf courses, a shooting center, gourmet dining and the full services that distinguish this resort as the finest destination imaginable. Bedroom 1: First floor master bedroom with a king-size bed, ceiling fan, plasma TV, access to the terrace and en-suite bathroom with shower, vanity and WC. 2 guests maximum. Bedroom 2: Second floor bedroom with two double beds, ceiling fan, plasma TV and en-suite bathroom with shower, vanity and WC. 2 guests maximum. Bedroom 3: Third floor master bedroom with a king-size bed, ceiling fan, plasma TV, private sun porch and en-suite bathroom with shower, double vanity and WC. 2 guests maximum. 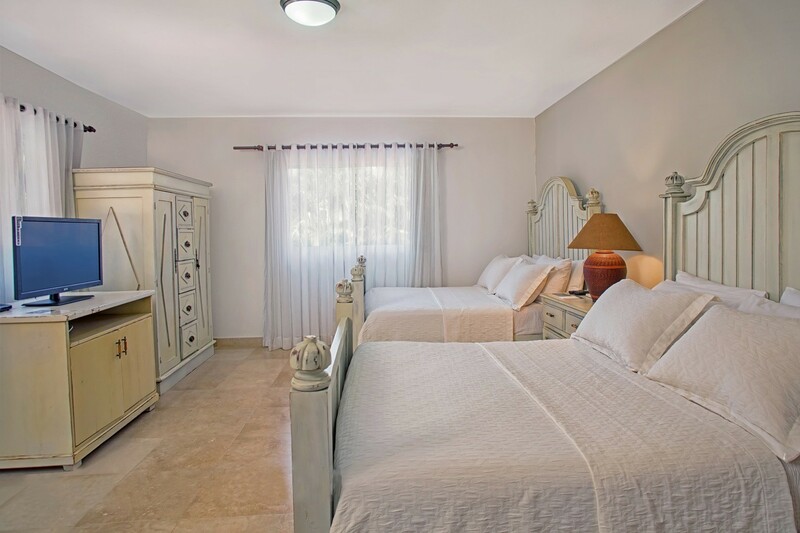 Acqua DR is offering 33% off for travel between April 21, 2019 and October 31, 2019.